Making lotions and bath scrubs, practicing relaxation and doing yoga…doesn’t this sound like a great 4-H club program? Discover 4-H Spa and Relaxation Clubs are a great way to learn about homemade body products while learning relaxation techniques. 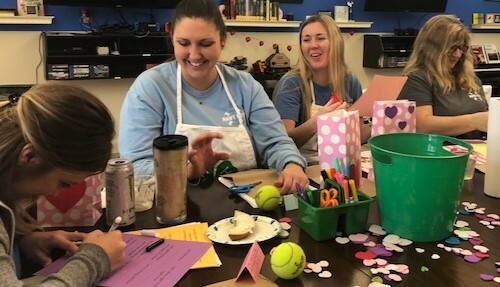 Youth create a day at the spa by making lotions, soaps, scrubs and lip balms while learning methods to relax like tennis ball massages, creating a happy list, doing yoga and creating a zen garden. An added bonus is homemade products are a fraction of the cost of purchasing and make great gifts for friends and family. Naval Support Activity-Panama City staff learning how to making calm bags. Caution: Essential oils are very strong and can be a skin irritant if applied directly to your skin. National Association for Holistic Aromatherapy recommends diluting essential oils with a carrier oil: use 1 teaspoon of coconut, almond, olive, sunflower or jojoba oil with 2 – 12 drops of the desired essential oil. Then, mix 3-5 drops of the diluted oil to your bath salt mixture. Bath salts are generally safe for most when used properly, but you should talk to your doctor before using bath salts if you have medical conditions such as skin diseases, heart disease or diabetes. How to Use Your Bath Salts: Fill your tub halfway with warm to hot water, and pour in about 1/2 cup (120 g) of bath salts. For a stronger concentration, you can always add more. If you prefer showers, take a handful and rub over desired area. Bath salts are great to exfoliate by removing dead skin cells leaving the skin smooth and fresh. Tired achy feet or hands? No problem! Add salts to warm water in a dishpan, and immerse your feet or hands and soak away the pain. NSA-PC staff learning the 4-H Spa & Relaxation Curricula they will use in their 4-H programs. 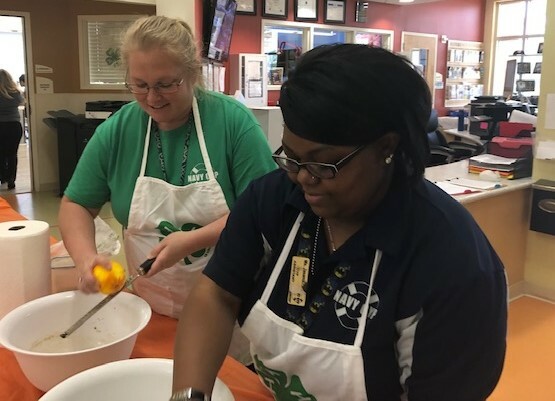 For more information on 4-H and other programs like this, contact your local UF/IFAS County Extension Office, or visit Florida 4-H.
Are you an adult looking for ways to coach, teach and mentor youth? Contact the 4-H Agent in your county and enroll as a volunteer in 4-H Online. Volunteering not only strengthens the 4-H club, but also shows young people how to live with integrity, optimism, hope, determination, compassion, responsibility and resiliency – skills that will help them succeed in life.